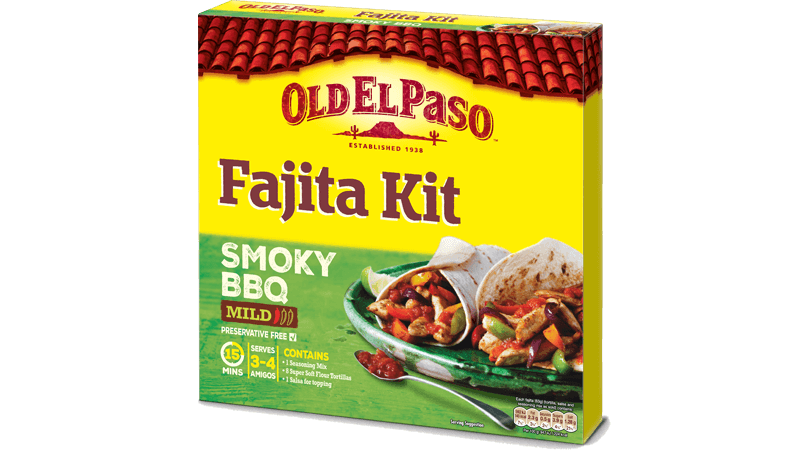 An Old El Paso™ Fajita Kit makes light work of feeding the family – just add steak and veggies and it’s on the table in less than 30 minutes! Heat the oil in a large non-stick frying pan over a high heat. Add the steak strips and stir-fry for 1-2 minutes until just browned. 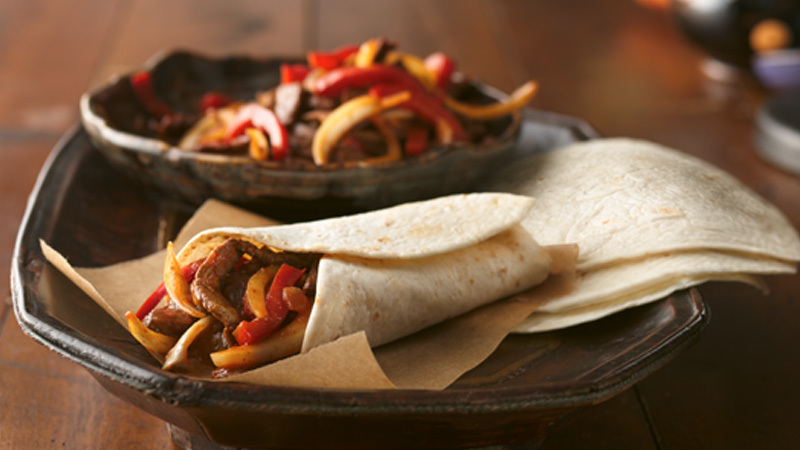 Stir in the seasoning mix from the fajita kit along with the pepper and onion and cook for a further 3-4 minutes until the vegetables are just tender. Warm the tortillas as directed on the packaging. Top each tortilla with some of the salsa from the fajita kit and some of the steak mixture. Fold the bottom edge of each tortilla towards the centre and fold the two sides towards the centre, slightly overlapping. Serve with soured cream. Like more veg? Replace half of the steak with extra veg such as sliced mushrooms and courgettes. Add some chopped red chilli pepper or dash hot sauce to the steak and veg mix if you want to up the spice level.